Stanley was the second of 4 children born to parents Frederick William and Emily Jane, nee Lodder, who married in 1883 in Southampton. Frederick was born 1862 in Southsea, Hampshire, Emily was born 1862 in Shirley, Southampton. In 1891 the family were living at 77 St Andrew’s Road, St Mary’s, Southampton. Stanley’s father was a Builder. Also in the household was his father’s sister Ada aged 16. They had moved to “Runnymede”, Chamberlayne Terrace, Southampton by the 1901 census. Frederick senior was a House Builder who was an employer. The family had two domestic servants. By the 1911 census they had moved again to 2 Cranbury Avenue, Southampton. Frederick senior was still an employer in the House Building Trade. Stanley was a Coal Merchant. The family had one servant. Frederick junior is now married to Muriel. They, with Frederick’s sister Winifred, are living at Arundale House, Winchester Road, Southampton. Frederick is a Buildings Architect. They also employed a servant. 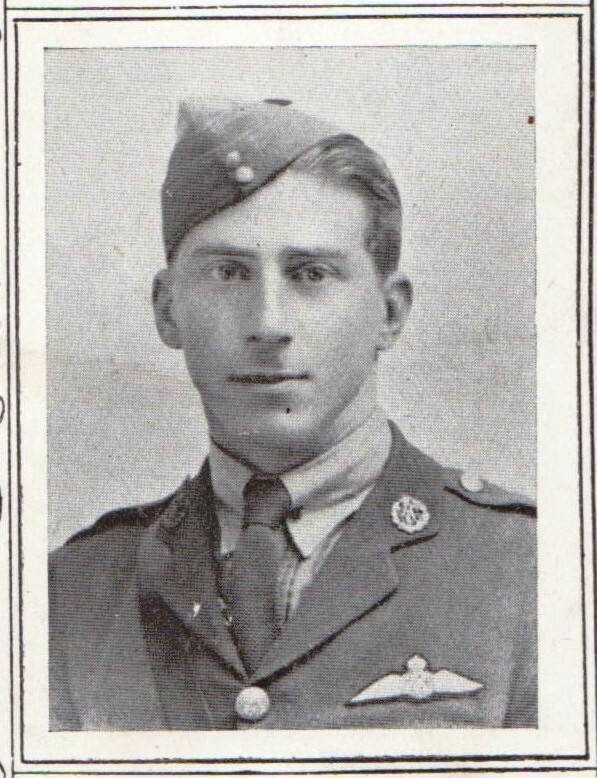 Stanley was a member of the Royal Flying Corps, his rank was Lieutenant. Stanley was killed on 23rd December 1917 aged 27. 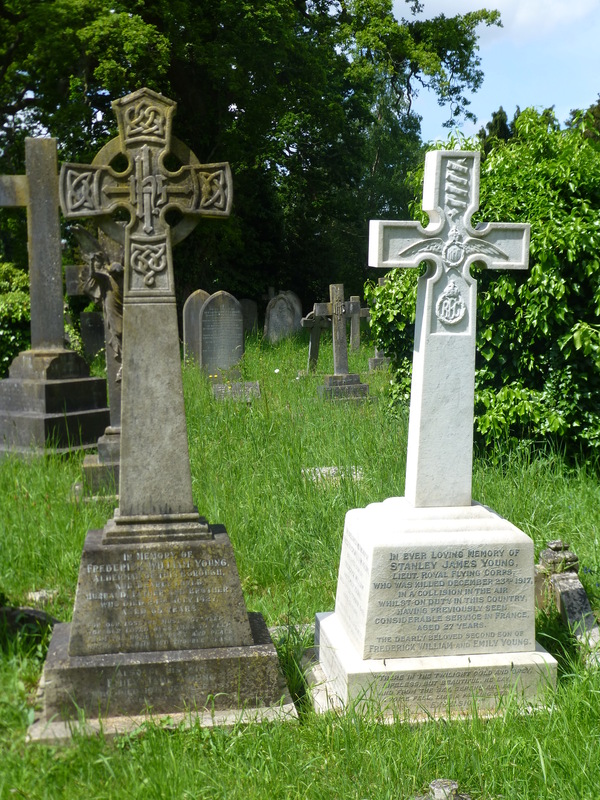 He is Remembered with Honour at the Southampton Old Cemetery. This cemetery, on the Common, belongs to the Corporation. It contains 78 scattered British War Graves, a plot of 21 Belgians, and one German. The Royal Flying Corps was officially formed on May 13th 1912 and was part of the British Army during World War One. The Royal Flying Corps became the eyes of the British Army directing artillery gunfire, taking photographs for intelligence analysis and taking part in dogfights with the German Air Service. Education and Employment: Stanley was born on 1st March 1890 in Southampton. After leaving Taunton’s School he worked as a Coal Merchant. Life during the War: Stanley’s family lived on Cranbury Terrace in Southampton. He was a Lieutenant in the Royal Flying Corps. He served in France as flying officer for 8 months before returning to England. Stanley work in Lincolnshire and checking weather conditions one day when he collided with another aeroplane. He died as a result of the accident and he is buried in the Old Cemetery on Southampton Common. Stanley died on 23rd December 1917 aged 27 years.